Today in Mae Sot we met some remarkable people. We went first to the border consortium. Chris Clifford told us of the work of the consortium. 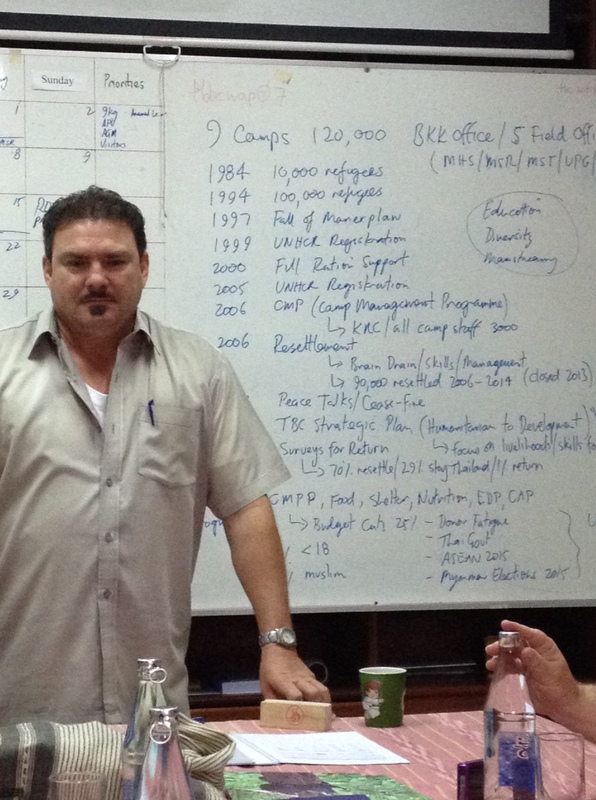 The refugees organize and operate the camps themselves with help from the NGOs. There are nongovernment organizations from all over the world that assist people along the border. I cannot imagine what life would be like for the people in the camps without this organization. They serve hundred and 120,000 people along the border. We went next to Dr. Cynthia’s clinic. She is like the Mother Teresa of Thailand. Her clinics treated 104,000 people in 2013. Some come from Thailand, some come from Burma as far away as Rangoon for service. An average of 10 babies a day are delivered. The clinic resembled a mass unit from the army as much as anything. People and trucks were coming and going. Dogs were wondering around as mothers took babies home. Next we went to the Mae La refugee camp. It is the largest camp. There are over 42,000 people there. There is also a Bible school run by Dr. Simon. People come from all over, not just in the camp, to attend the Bible school. Dr. Simon is a good friend of Roseline Nyo who is a member of First Baptist Church St. Paul. 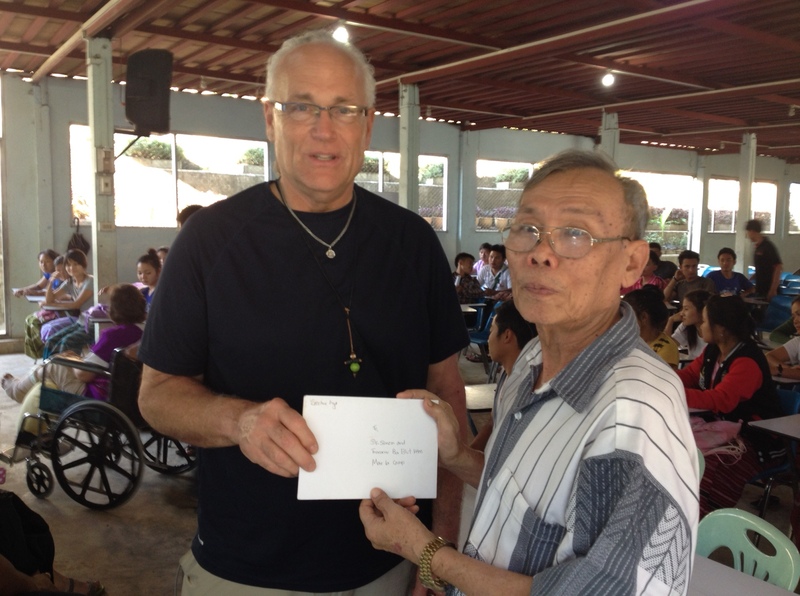 I delivered a letter to Dr. Simon from Roseline. I was also privileged to give a word of encouragement to the students. We were delayed in getting in and out of the camp because of the guards. We got a sense of the uncertainty and also the vulnerability of the people in the camps.